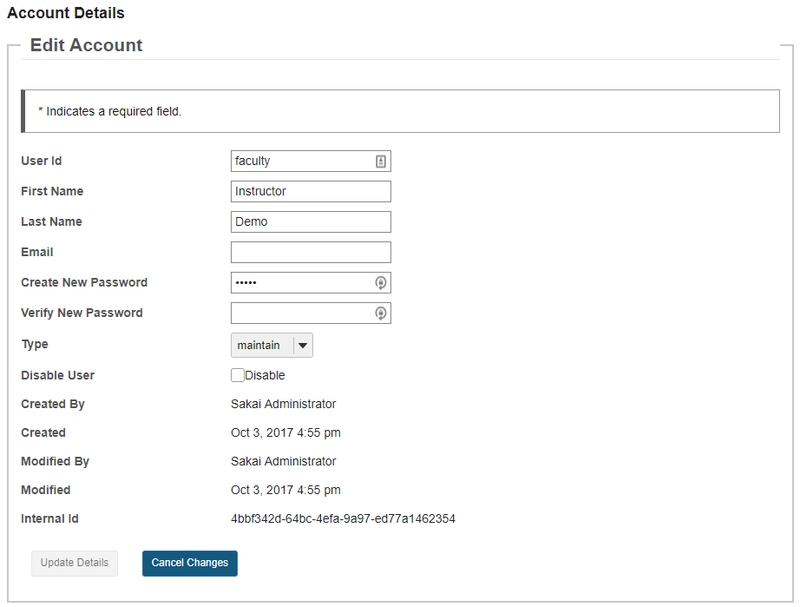 Sakai Community DocumentationSakai 12 Administrator Guide (English) UsersHow do I search for a user account? Select the Users tool from the Tool Menu in the Administration Workspace. Enter a search term to locate the account you are looking for. You may search by a full or partial string of characters which appears in the user id, name, or email fields of a user's account. Zoom: Search results will display. All internal accounts meeting the search criteria will be displayed. Note: Users defined by an external user authority (e.g. LDAP, etc.) are not listed here. 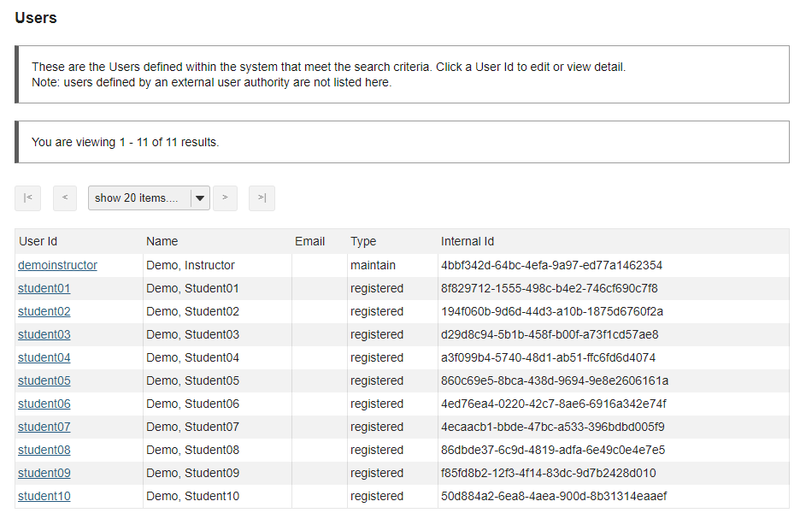 Click on an individual user id to view that user's details. Zoom: Click on an individual user id to view that user's details. Prev: How do I create multiple new user accounts by importing a file? Next: How do I edit a user account?